GB: To start off, can you give us a little background information about yourself and Green Ronin Publishing? What other role-playing products have you created and published in the past? Chris: I got into game design professionally in 1993 and I've been working in the industry ever since in a variety of capacities: freelancer writer, staff designer, creative director, company owner, and president. I've worked on many RPGs, and written and/or developed hundreds of books and magazine articles. I did a four year stint at Wizards of the Coast, working on D&D and the Chainmail miniatures game. I started Green Ronin in 2000 while still at WotC. I was working on Chainmail at the time and wanted to keep a finger in the roleplaying pie. I did not have grandiose plans at the start. I wanted to publish a beer and pretzels game I designed with Todd Miller called Ork! The RPG. Then I thought we'd take a risk and do an adventure using the as yet untested Open Game License and see how that went. I wrote Death in Freeport and we released it at GenCon 2000, on the same day the third edition D&D Player's Handbook debuted. It was a huge hit and the company quickly expanded. By the time I left WotC in 2002 I was able to step into doing Green Ronin full time. Over the past nine years Green Ronin has published well over 100 books and games. I suppose I ought to figure exactly how many at some point but I lost track a couple of years ago. Our most successful line has been Mutants & Masterminds, a superhero RPG now in its second edition. In addition to a long line of d20 products, we've also published True20 Adventure Roleplaying, Spaceship Zero, Blue Rose, and Faery's Tale Deluxe. Our most recent game is A Song of Ice and Fire Roleplaying, based on George R.R. Martin's awesome fantasy series. We also spent three years working as a design house for Games Workshop. I designed the second edition of Warhammer Fantasy Roleplay and we worked with GW to create 20 odd support books for the line as well. 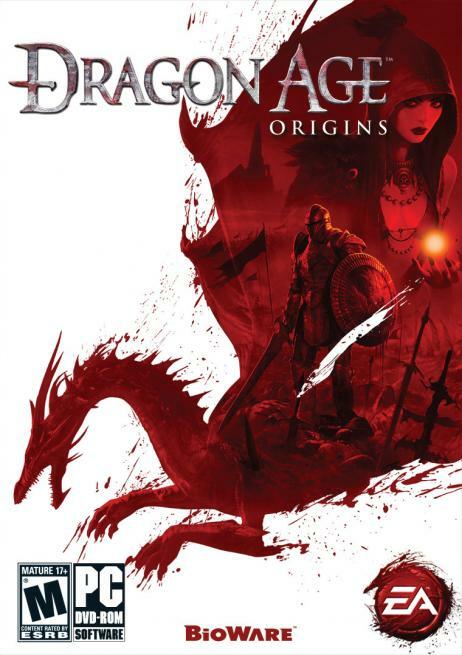 GB: How did the Dragon Age RPG deal actually come about? Did you approach BioWare, or was it the other way around? GB: What has it been like to work on a project that was originally conceived by another party? Do you have people from BioWare on hand at all times for any questions that come up during the tabletop game's development? Chris: Green Ronin has done many licensed RPG adaptations in the past: Black Company, Thieves' World, The Nocturnals, Red Star, and A Song of Ice and Fire. Working on Dragon Age has actually been closer to how things were doing Warhammer Fantasy Roleplay. In both cases we were working with a company using the same prop erty for a game of a different category. So it's a matter of deciding how to best express the game world for each style of game. I took a trip to Edmonton and met many of the Dragon Age folks. They gave me a lot of info and we talked over approaches for the RPG. Since then we communicate mostly via e-mail and sometimes on the phone. My regular contact is Mark Darrah, and he's been great at getting my questions answered. GB: How long have you been working on the Dragon Age tabletop rules, and do you anticipate any difficulty in meeting the September release date? How much more work needs to be done? Chris: About a year, though at this point last year it was mostly thinking and taking notes. The schedule is pretty tight for what we're trying to do, but such is the game business. At this point I still need to finalize the text of the first set, which means incorporating playtest feedback, developing some material contributed by other authors, and writing some of the soft material (like GM advice). GB: Long-time BioWare fans are probably most familiar with the tabletop rules associated with Dungeons & Dragons. In what ways will the Dragon Age ruleset be similar to/different from D&D? Chris: Like D&D and indeed many games over the years, Dragon Age is a class and level system. Like the computer game, the RPG features three classes: mage, rogue, and warrior. It's different in many ways. It uses six-sided dice only, it uses a spell point system instead of Vancian magic, and it has no alignment system for starters.